Someone is killing off professional cyclists during the Tour de France. 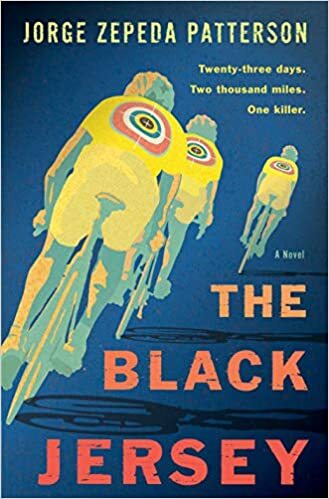 Bicycling themed fiction is usually best left to fanatics, but this is far better than most and should appeal to a broader spectrum of general whodunnit readers. The cover art evokes the golden age of cycling and would look great on appropriate display shelving. Zepeda has a background as an economist, journalist and has a doctorate in Political Science from the Sorbonne. His novel Milena won the prestigious Planeta Prizethe richest literary prize in the world, after the Nobel. A literary thriller by the author of Celine and The Dog Stars, about a summer break wilderness canoe trip for two college students that goes disastrously wrong. This is a short, fast read that was gripping enough to read at home, sure to scare the bejeezus out of anyone that dares take it on their own wilderness adventure to read by the campfire. 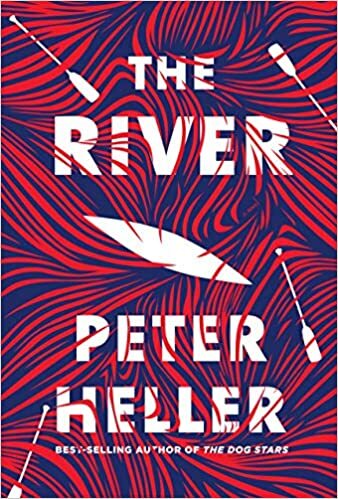 Both Publishers Weekly and Library Journal have lavished praise on Heller’s fourth novel; it’s currently got a four star average on Goodreads. A look at events leading up to Alex Honnold's free solo of El Capitan, described by the New York Times as "one of the great athletic feats of any kind, ever." 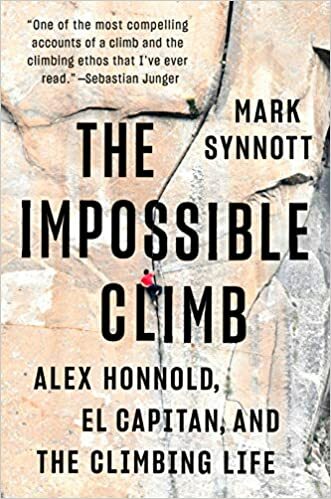 Big wall climber and alpinist Mark Synnott, a self-described old silverback to his young alpha climbing friend of ten years, has enriched this story immeasurably by expanding the scope of the book beyond Honnold to include climbing history, personal memoir, and a cast of colorful characters that includes Alex Lowe, Jimmy Chin, Warren Harding, John Bachar and Dean Potter, as well as stories of climbs and expeditions around the world. If all you care about is Honnold, climbing's "It boy" of the moment, then just go read the expanded edition of Alone on the Wall and watch (the Oscar winning) Free Solo over and over. Those with a deeper curiosity should love this book, even though it's sure to inspire arguments and discussion among the climbing tribe. 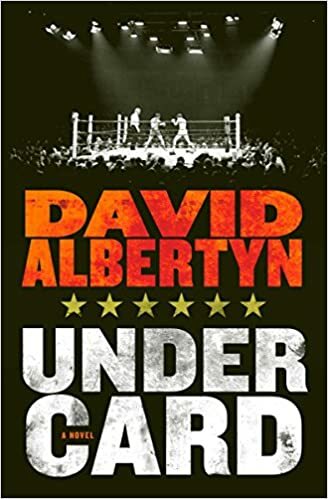 Four childhood friends who haven’t seen each other in years are unexpectedly re-united by a Las Vegas casino prizefight and a high profile murder. Set over the course of 24 hours, this debut novel is a Dewey Diva pick and has been called “a terrific thriller and a sharp commentary on our turbulent times” by David Bezmozgis. The book practically screams movie adaptation, or some sort of Fargo-esque TV series reimagining, so it’s no surprise that screen rights have just been picked up. Learn more about South African born, Toronto based tennis pro turned thriller writer Albertyn, here. Biographies of musicians are usually read by fans, skipped by those that aren’t. 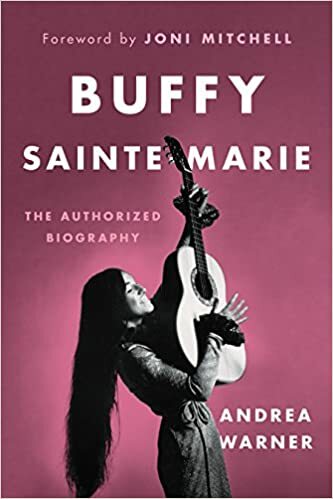 This book might possibly have pulled in some others who know Sainte-Marie for her activism or have an interest in Indigenous issues. Which is a shame, as this book deserves to be widely read. Not only has Sainte-Marie lived a life more interesting than most could imagine, she has passed through a slew of challenges with an almost shocking amount of intelligence and positivity. One might not only forgive, but expect, her voice to be a strident and bitter one and yet the Cree singer, visual artist, actress, composer, educator and humanitarian from the Qu’Appelle Valley in Saskatchewan is a relentlessly energetic and hopeful one. Whether you like or even know her music or name, read this book. 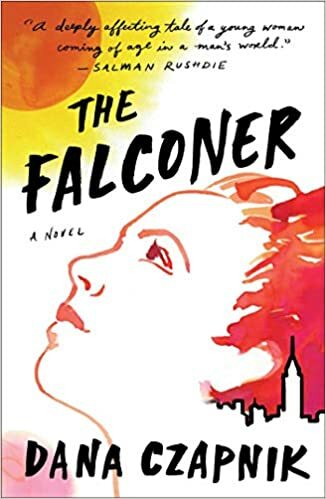 Beautifully written coming of age tale about a 17 year old girl in early 90s NYC, obsessed with basketball and the unrequited love of her best friend. The praise rolling in from Salman Rushdie, Ann Patchett and Rivka Galchen is well deserved. I wish I'd had this book to give to my daughter in her teens while knowing she might enjoy it even more now, from her later perspective. Positive proof that the oldest stories in the world (e.g. coming of age) can be told with brilliance and verve countless times in the hands of debut authors whose next work we'll eagerly await.